Responding to the clarion call by our Honorable Prime Minister, Shri. 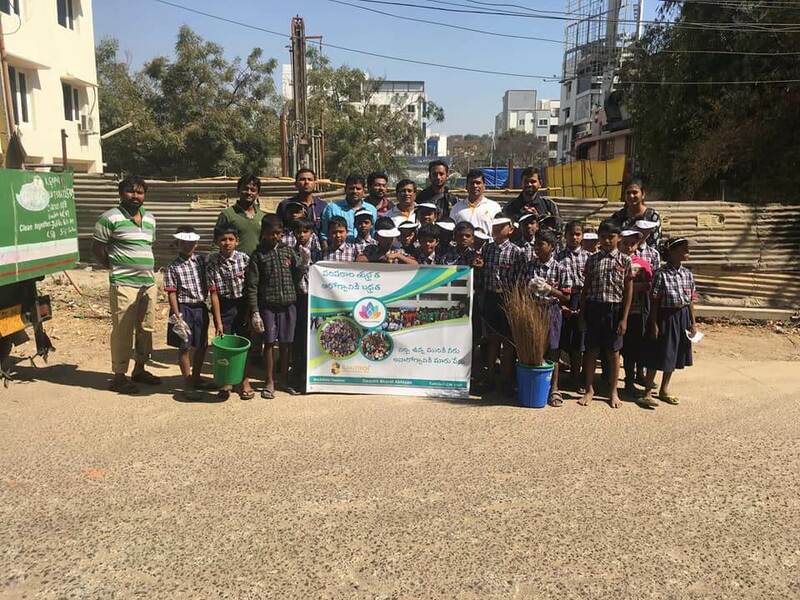 Narendera Modi to the citizens of India and as a tribute to Mahatma Gandhi, Sailotech has jointly participated in the “Swachh Bharat Abhiyan” along with Nachiketa Tapovan School, as part of the cleanliness drive at the back side of the Madhapur police station, Hyderabad. Sailotech’s associates and 4th grade students had joined their hands to provide a cleaner, greener and a hygienic India. The employees and students did a wonderful job under the guidance of Mr. Suresh Babu Inturu, managing director of Sailotech. Above Pictures showing Sailotech’s associates inspiring others to support in this noble cause of Swatch Bharat Abhiyan for contributing to cleaner surroundings for a better and a happier tomorrow.